Brimming with gorgeous high definition video demonstrations, unique creative lessons, inspiring prompts, interviews with fellow artists, in-depth weekly Q + A sessions, and enough encouragement and inspiration to last a life time, this course will empower even first time painters to unlock their creative flow while gleaning powerful life lessons along the way. The beautifully updated Bloom True E-Course is now available as a self-paced painting adventure! I am thrilled to offer the updated Bloom True E-Course as a self-paced learning experience. This means you can purchase the course at any time and move through all the lessons while honoring your own unique rhythm and lifestyle. Enjoy lifetime access to all the course material, including live monthly Q + A Spreecasts and an invitation to join a Global Community of Bloomers. Access to Flora’s exclusive Diving Deeper Monthly Q&A Podcast, a great place to ask questions directly to Flora. 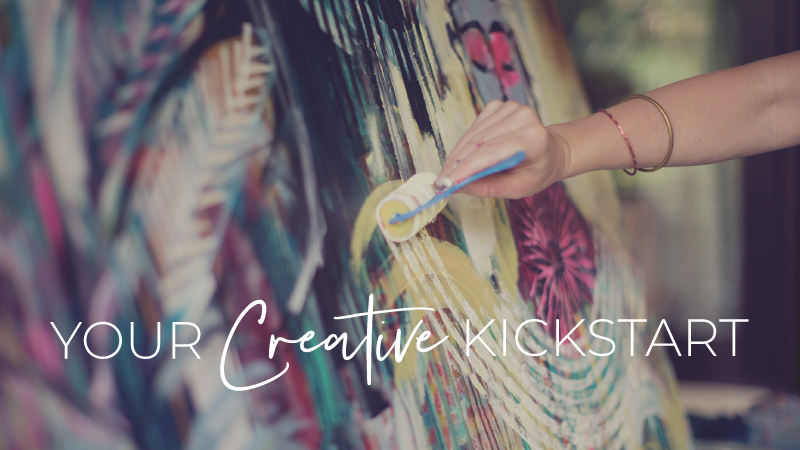 Access to a community of like minded and spirited people from across the world…your new creative tribe! Lifetime access to an extended classroom, so you can watch the videos and access the lessons as many times as you like from here forward. NEW! The Bloom True Affiliate Program is now available. If you are inspired to spread the good word about your Bloom True experience, please consider joining our new Affiliate Program so we can reward you for your efforts — and you can buy more paint! It’s truly a win win situation.